Digital height gages sometimes get a bad rap. People refer to them as nothing more than a giant-sized caliper based, apparently, on its range of motion. But there is so much more to a digital height gage than that. It is, without a doubt, a benchtop gaging measurement system of the most sophisticated and accurate nature. Not only that, the multitude of tasks that it can perform reliably and quickly are impressive. How Good Is Your Digital Height Gage? As with any system that measures length, the further you move from the reference point, the more the accuracy degrades. Most often, height gages are used in the bottom portion of the range (lower 12 inches). Should you wish to improve performance when measuring on the upper end of the scale, zero in on a 12-inch gauge block. You can also use something closer to the operating range midpoint for a specific test piece. Clearly above normal room temperature (60°F) is the operator’s body heat (98.6°F). Remember that heat can be conveyed to the measuring circuit’s elements (stylists, height measuring instrument, the test piece, the base plate). This can create measurement error because of local heat expansion. When you contact the part, local contact points are prone to flexing. Bridge reinforcements may be necessary if you notice deflection. To best match the application, adjust the gauge setting time. The measuring values oscillate accordingly during this time. What this means is that the instrument must wait, before it acquires the value, until the measuring value is stable. Gages with motor drives tend to, as the test piece is measured, improve performance by using a force that is constant gaging. For the most part, the air bearings should only be used before a measurement, for positioning the height measuring instrument. Place your test piece on the base plate for a high precision measurement. This allows it to adapt to the ambient temperature. If a test piece was recently transported through a very cold or hot room, do not use it right away as a check piece. A measuring station should not be set up in the proximity of a radiator. Do not place a gage in direct sunlight or in a draft. Your height measuring instrument should only be touched at the provided touch points. So as not to touch it with your bare hands, when touching the test piece directly (before the measurement), use gloves. Also avoid touching other measuring circuit elements. 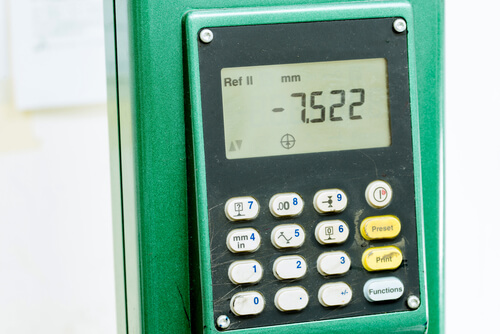 Willrich Precision Instruments carries not only a wide array of height gages but has an impressive inventory of all things metrology and gaging related. Speak with one of our customer service representatives to discuss how we can be of assistance in matching you with the high-precision tools you need.